Today I got a letter from a reader enquiring about what size she should buy in vintage patterns. As an aside, it seems that size numbers in clothing keep shrinking but the measurements do not. For instance, I wear a 4 or 6 in US sizes but when I try on American clothing from the 1980’s I wear a size 10! This is known as vanity sizing and maybe has something to do with either the growing waistlines of this country or the need for more sales. For instance, if you are trying on clothes, do you get a little excited when you can fit into a smaller size? Well, don’t get too excited! You may not have gotten smaller. The clothes have just gotten bigger! Sewing pattern sizes have also gotten smaller through the years. Sometime in the 60’s the pattern sizing changed. For instance, I have a 34 inch bust so I take a pattern dress size 12 in modern patterns. 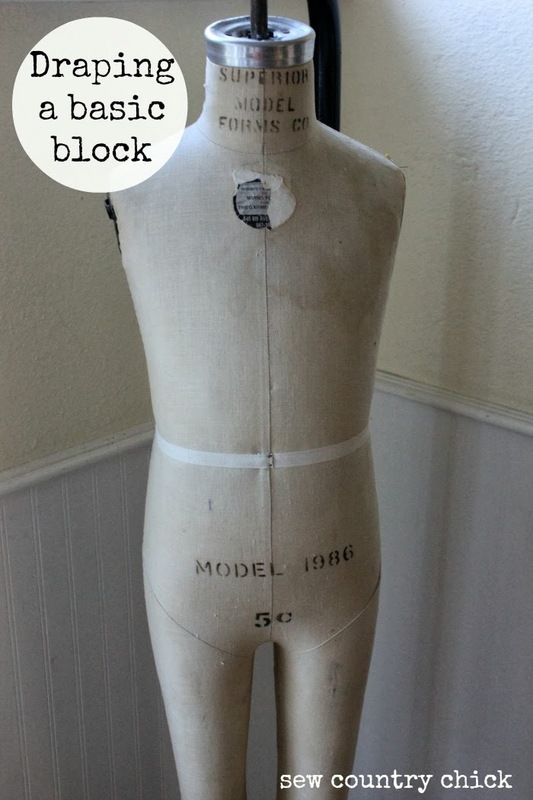 I have a mid sixties Vogue pattern that lists a 34 inch bust as requiring a size 14. Going further back my fifties and forties patterns list a 34 bust as a size 16. The modern sizes we have now for patterns have been in use since around 1969. How do I know that? Well, I saw an old pattern that had a big announcement on it, saying “New Modern Sizing”. It was dated 1969 and had the same sizes we have now. If you look at the pattern charts above you will notice a size 12 today is for a 34 inch bust, 26 1/2 inch waist and 36 inch hip. But a size 12 in a forties pattern is for a 30 inch bust, 25 inch waist, and 33 inch hip. Not only have the sizes gotten smaller but all this ease has been added. For you newbies ease is “extra space” added to a pattern for comfort. I am bigger than a size 12 on the bottom. I have a 28 inch waist and 37 inch hips but I often have to take in the skirts on size 12 dresses to get the more fitted look I like. Ease shmeeze if you ask me! Do I want to look like a box? NO! Why not add ease to shoes while we are at it? Because then they wouldn’t fit! Just like modern patterns. This is all the more reason to, yes ladies, start learning how to make our own patterns! It’s really not that hard. 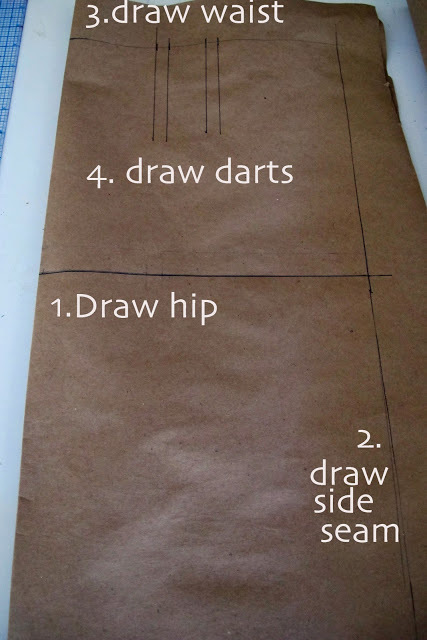 I will be doing a straight skirt draft- a- long soon. If you are interested in participating, leave a comment. As an aside, I do have to say Collette patterns seem to actually fit the measurements described on the envelope. But if you are smaller than a C cup you will have to adjust the bust. I hope I haven’t bored you silly with all of this measurement jargon but I know some people getting into vintage patterns have mistakenly bought the wrong size. Just doing my part! And there was me thinking I’d suddenly changed shape! As if I’d fit into anything with a 26″ waist – in my dreams!! I’ve just bought some lovely fabric intending to make a straight skirt with a back vent, so any help with a sew-a-long would be great! I am amazed at your productivity, and you have children. yea!! I did not check my email and therefore missed the comment from you regarding the brown gingham dress. I would have loved to have posted. Here is some info to add to the discussion: I believe the numbers on 40’s and earlier vintage patterns related to AGE. Therefore, a size 14 would generally fit a girl aged 14. I cannot remember where I read this-so if others have heard this, please let me know. Yes that’s true Mary. The sizes were meant for age on the old patterns. So I guess no one over 22 sewed since that was the largest size? They probably realized that wasn’t the best idea. I for one would be thrilled to be a size for age 16! I sell vintage sewing patterns for a living and get this question all the time. The “standard” sizes didn’t just change with the decades, they also were different from the various pattern companies. You really have to check the measurements…everytime. But generally the numbers don’t lie, so if you have accurate measurements ( and you do, don’t you? 😉 ), you shouldn’t have problems finding some great vintage patterns that will fit you wonderfully! 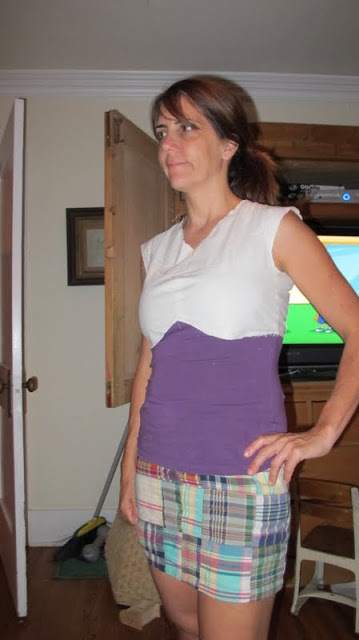 One of the first couple chapters in Fit For Real People discusses this pattern sizing change and how they all started and then shifted. I actually just re-read it all the other day because I had a friend over who is a size 12 in RTW, but I was cutting out a pattern size 10 in something for me and she was very confused since I’m a size 0 in RTW! I was just looking at Fit For Real peopla at the bookstore today! Are those some goofy photos in there or what! I would love to do a straight skirt sew-a-long with you. I do have instructions on how to draft one but maths is not my strong point! As a traditional pear shape I can never find straight skirts in the shops to fit and it was the main reason I started home sewing in the first place. So count me in! Would love to be part of the straight skirt draft-along. I have noticed sizing getting smaller and smaller. It actually frustrates me, I should not be wearing a size small, what are small people wearing? I had figured it was a way to get people to buy more, over the excitement of fitting into a smaller size. I think your advice is spot on, go by measurements not size. Yep I learned the hard way! Yes the photos in that book are really goofy, it would be great if the images were update!